HOW TO GET RID OF SEVERE ACNE! LOOK AT THE TRANSFORMATION! 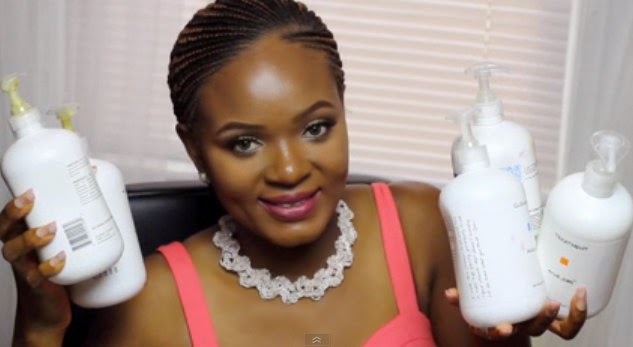 Hi lovelies, I have been following OmaBelle on YouTube for a while now and I always used to wonder how the acne on her face could be cured. I never used to have acne until recently which I would put down to stress but it seems like she has been struggling with this for a while and it is all over her face, mine is not that serious but it still drives me nuts. 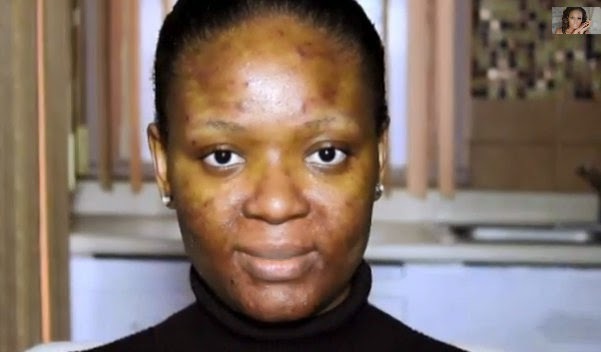 She recently uploaded a video showing her acne has cleared up, I quickly clicked on the link...I was just staring like "it's a lie...." Can you see the transformation??? She's a kind lady so she explained in detail what she used which are products from acne.org . Watch the video to get the scoop, and if you know someone suffering from acne like this you should show it to them too, be a dear. This is not an advertorial...just sharing! If you have other methods, please share too! Eva Alordiah also shared how she got rid of acne on her blog but she used natural products like lime,honey and black soap. I don't have sever acne issues, just one or two that pop up during my period and stuff but i've been using the acne.org regimen for months now (not so religious about it) and it works. i gave my friend who had bumps from the barber's, next day they were gone. this product is goood...of course if you have a severe situation you must be religious to see results. I also recommend little manipulation of the skin...less touching and for we makeup lovers, apply makeup gently, with love on your face! Acne is so annoying, what a great transformation, wonder if it will work on me. Hello Sarah how u ? i just take a order last week for this product and do you know other product that work btw 6weeks? and cocoa butter cream for my complexion. Yes,u said it. Benzoyl Peroxide 10%. You see this omabelle's own is small to what I had. Pple thought I had chickenpox and ran from me. I never used to go out. Pimples is a really bad thing,ruins ur self esteeem completely. 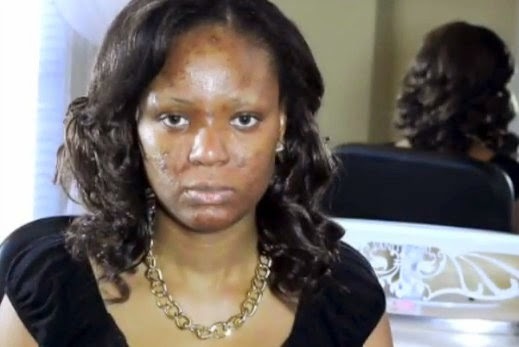 I intend starting a pimple foundation where I'l help people understand their skin,give counselling as well as treatment. Yes,counselling. U'l think counselling ontop pimples. But yes,it's needed. God helped me through.... Back to d matter,I used clearex after using all sort of nonsense for years. Settled for clearex and was judiciously using it and in 6months my hereditary acne cleared. Now,I think clearex has bn banned in nigeria,the company is yet to rply my brothers mail. But there's a substitute. Clearzit! Sme components. If you have severe acne,listen up. Wash ur face with warm water nd a mild soap @ night. Towel dry. Just pat a CLEAN towel on ur face. Den rub in d clearzit with the heels of ur palm til it drys up. Finish. Wash with warm water in d morning again to open ur pores and wsh it out and pour cold water on ur face to close up ur pores. God bless you. Clearzit can be found in stores for only 850 naira. Pls does the Clearzit contains Benzoyl Peroxide? or do I still have to buy the Benzoyl Peroxide? I am desperate to clear the acne on my face. Help!!!!!! I've been searching for clearex10, it was also my miracle. I feel totally stranded. Pls where can one get clearzit? 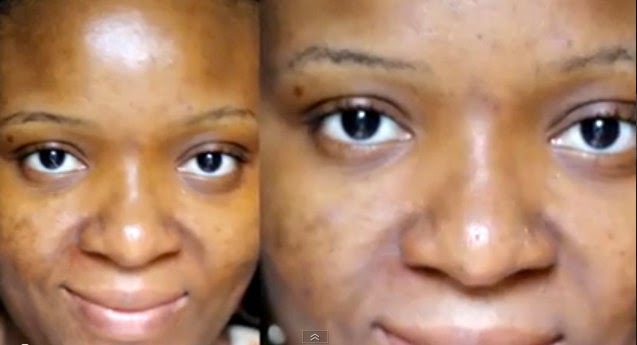 Nice transformation, I don't have break outs but this is Good info. Wow. Amazing. I really don't have acne just pimples that refuse to go until I fast and pay but I'm impressed. Nice one. I heard natural products work most esp black soap. The newsletter is up. The world cup is on and Africa has made us proud by a good showing at the world cup. See what else you can learn from the different matches being played. I used to have this kind of nasty acne as well. I used Roacutanne for 4 months and now my skin is smooth and spotless….